Gambit #1 #3 NM/NM+ 9.6 HIGH GRADE LOT Marvel 2012 MOVIE COMING! LOW PRINT RUN! 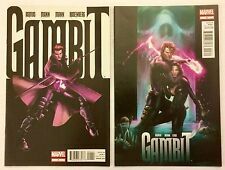 Gambit #1 NM+ 9.6 HIGH GRADE Marvel Oct 2012 HTF 1st printing NEW MOVIE COMING!! 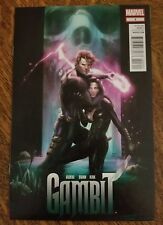 Gambit #1 Marvel 2012 LOW PRINT RUN Great Condition. This page was last updated: 22-Apr 12:01. Number of bids and bid amounts may be slightly out of date. See each listing for international shipping options and costs.